Free Game Analysis: What is Beast Mode? For today’s Free Game Analysis post, I will be sharing two games from one of the strongest scholastic players in Richmond, Matthew Normansell. 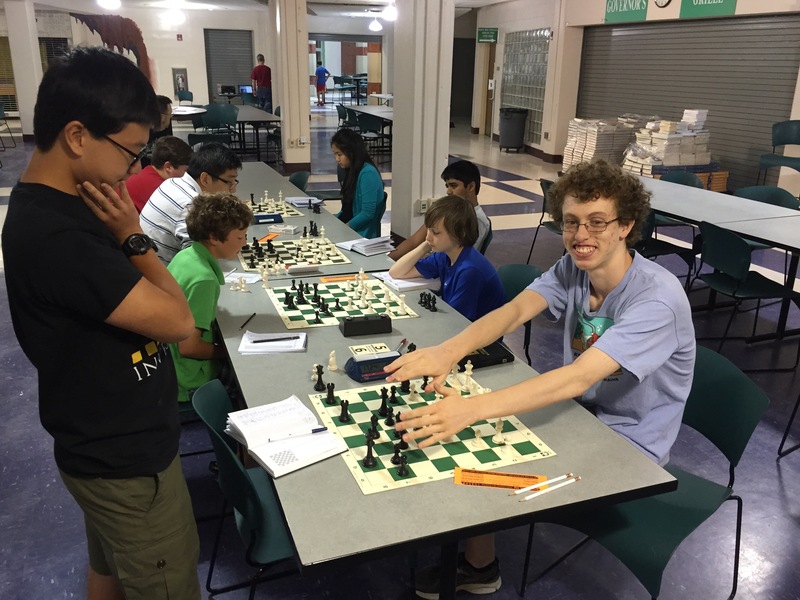 Just last month, the high school junior tied for 9th in the U1900 National High School Chess Championships, bringing his rating to an all-time high at 1738. In just the three short years I’ve worked with him, he’s gained 1000 (!) rating points, and is trying to break expert before his graduation next June. Matthew (right) taking on rival and teammate Jeffrey Song at the 2015 MLWGS Summer Scholastic. So in today’s post, not only will we be discussing improvements in each individual game, we will be pinpointing the strengths of Matthew’s play – specifically resourcefulness. While I haven’t worked with Matthew as much this past year, I noticed that his ability to fight in completely lost positions was one of his critical distinguishing traits from the rest of the MLWGS team. In his freshman year, Matthew earned the nickname “Beast Mode” for his ability to put together a winning attack despite his propensity to hang pieces. I’d say that from my own observation, a majority of the games he won before breaking 1200 were in fact completely lost at some phase of the game. Obviously, to be 1700, you cannot routinely hang pieces, so at some point, the tactical entertainment evolved to positional resuscitation. I specifically remember a quad last year where he was extremely worse positionally in each game, yet as a 1400, upset an 1800 and drew a 1950. The value of this resourcefulness in chess cannot be understated, and has proven itself to be a vital characteristic of Matthew’s style. 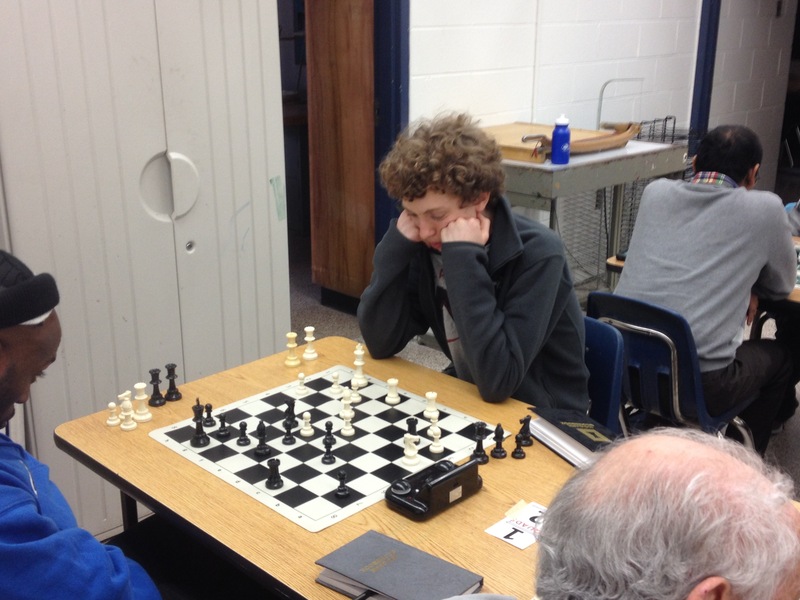 Matthew calculating a tough position at the 2015 Kemps Landing tournament. This past week, I got to analyze Matthew’s games for the first time in months, and I’m rather impressed with how “Beast Mode” has continued to evolve. Rather than waiting to be punished by his opponent, the monster now feeds off his own energy, playing more complete games, much more resembling that of an expert than that of an amateur. 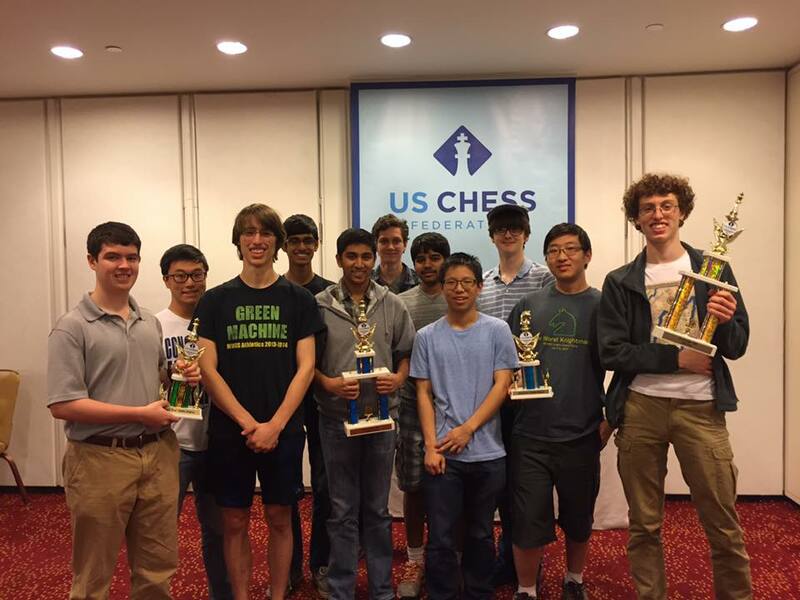 So without further ado, let’s look at the last three rounds of Matthew’s National High School Chess Championship performance in Atlanta. Here on chess^summit, we haven’t had many opportunities to discuss the Nimzo-Indian, however, it is considered one of the most solid openings for Black against 1. d4 and enjoys a vast following. 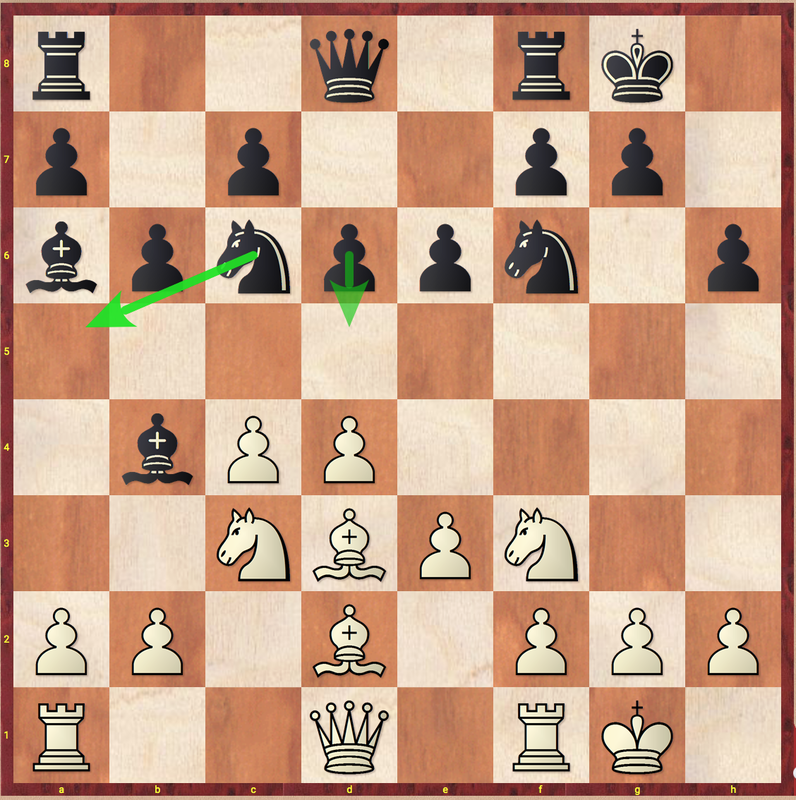 Black gives himself time to decide between a …c7-c5 or a …d7-d5 thrust by opting to castle first. Already White deviates from the main line of the Leningrad System by retreating his bishop here rather than h4 to maintain pressure on the f6 knight. If White was really concerned about structural problems, he should have opted for the 4. Qc2 lines rather than the Leningrad. Now Black enjoys an extra tempo in a flexible position. A practical decision. Black could have considered an immediate …c7-c5 push to point out White’s awkward development and loss of time with 5… c5 6. d5 d6 7. Nf3 e5. This position emulates the main line of the Leningrad System as proposed by Chess Openings for Black, Explained but also highlights the issue that without a bishop on h4, both of White’s bishops are bad while Black maintains a strong center. While this is promising, Matthew’s choice to castle instead offers a no-nonsense approach to the game. Having lost two consecutive games earlier that day, it was critical for Matthew to find some momentum going into the last day of the competition, so focusing on fundamentals was the right approach. Again, remaining flexible. With White’s slow play, Black is in no rush to take the center. 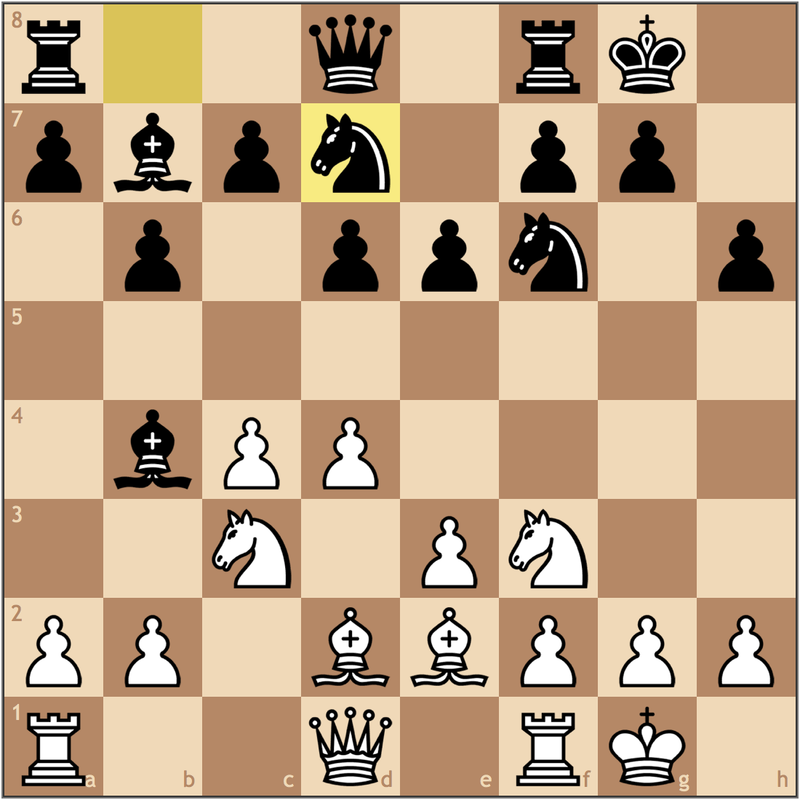 This move offers two plans: …c7-c5, or …Qd8-e7, followed by …e7-e5. 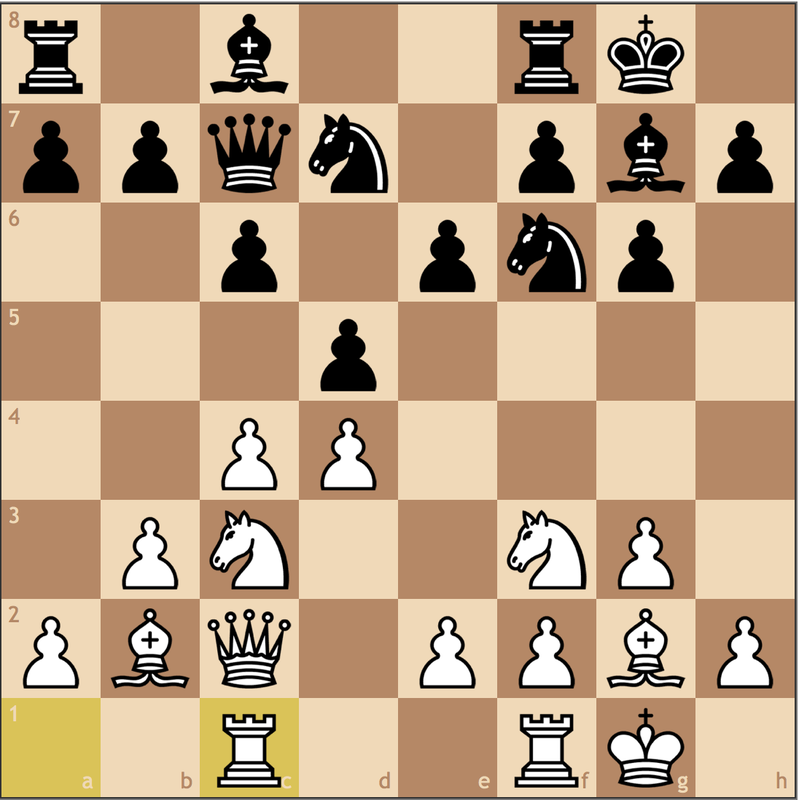 Needing to castle, White is presented with an unpleasant decision this move, 7. e3 or 7. Qc2 to prepare e2-e4. 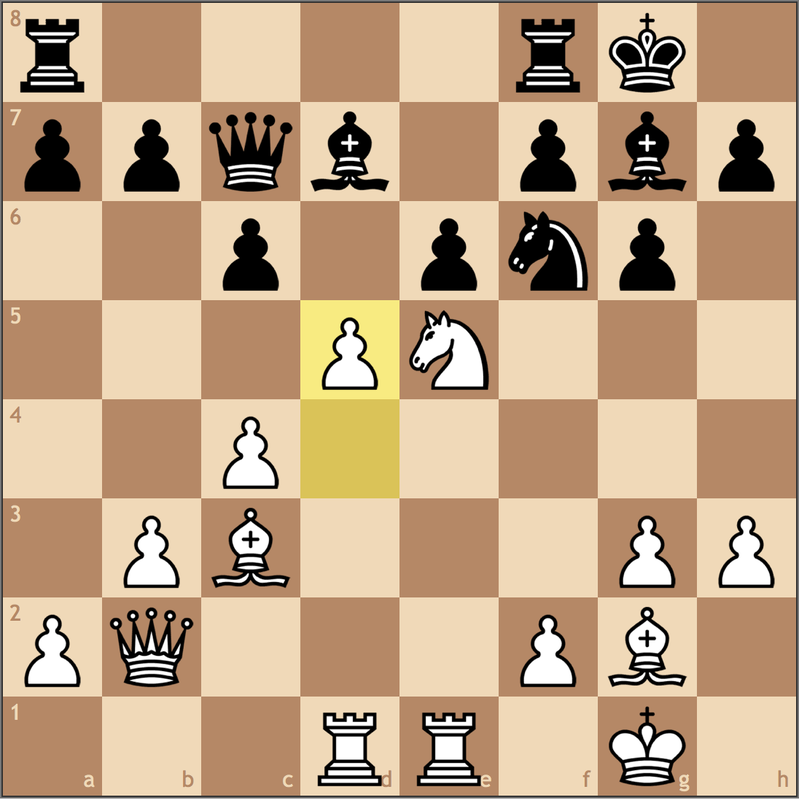 White probably chose correctly with 7.e3, but either way, a positional concession had to be made. If White had chosen 7. Qc2, Black could consider a “waiting” move with 7… Qe7 because 8. e4 reaches an unfavorable position with Black’s response 8… e5. Objectively, perhaps Black has better moves, but the point is that structurally White has ceded control over the d4 square, and again, the passivity of White’s bishops is a key highlight. I’m not a fan of this move. 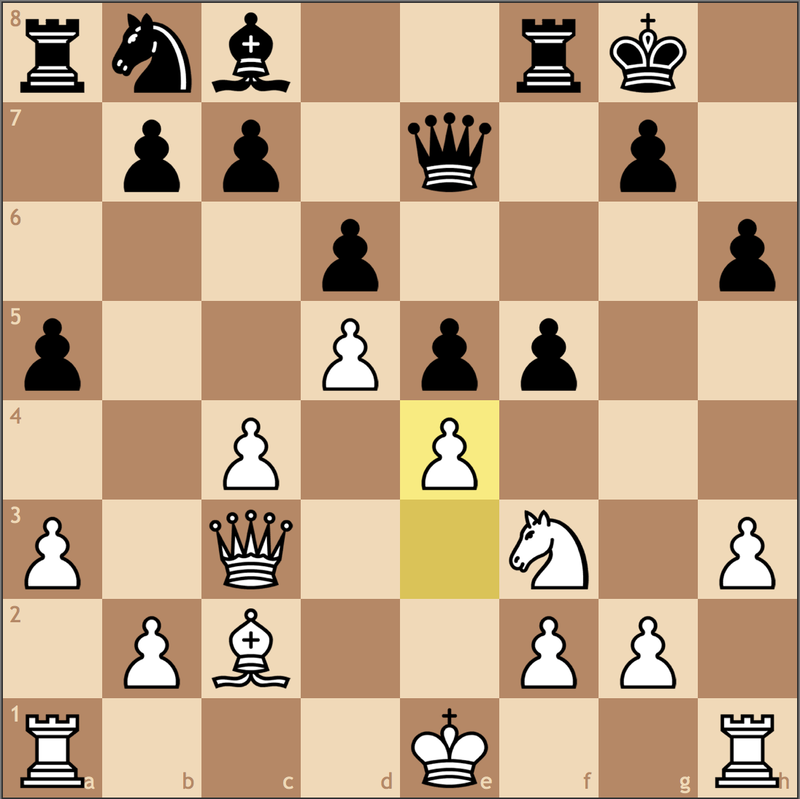 Of course at some point, Black will inevitably trade this bishop for the knight, but it was critical to wait for White to use a tempo and play a2-a3 first. I think Black had a lot of options here, but I like challenging the e4 square the most with 7… b6. After 8. Be2 Bb7 9. 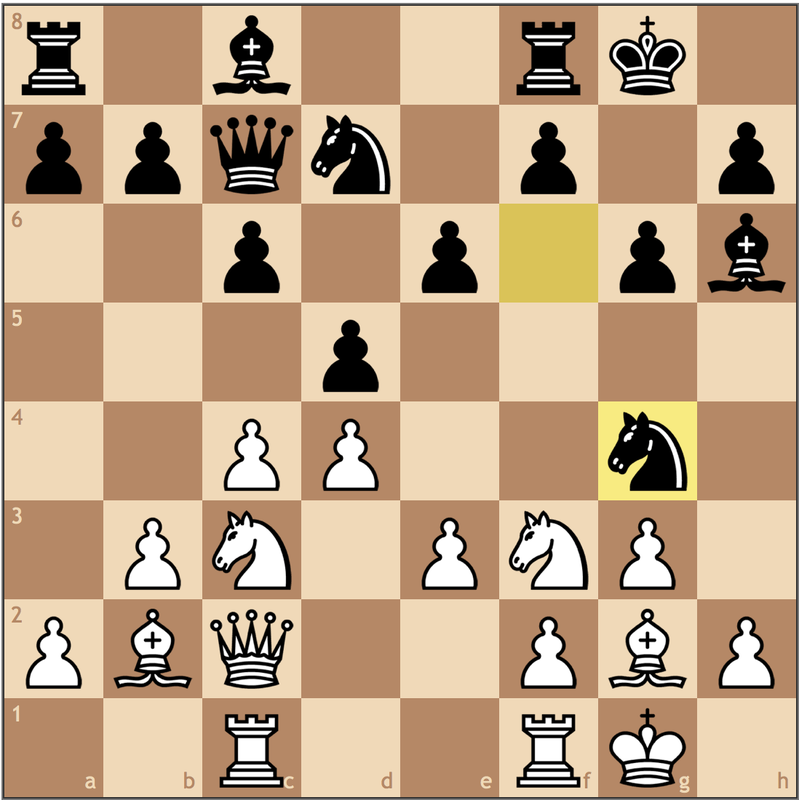 0-0 Nbd7, Black has a lot of options, the most attractive option being putting a knight on e4. Now if White uses a tempo to play a2-a3, he loses his last defender of the e4 square, and still has to worry about …e7-e5 and …c7-c5 breaks. 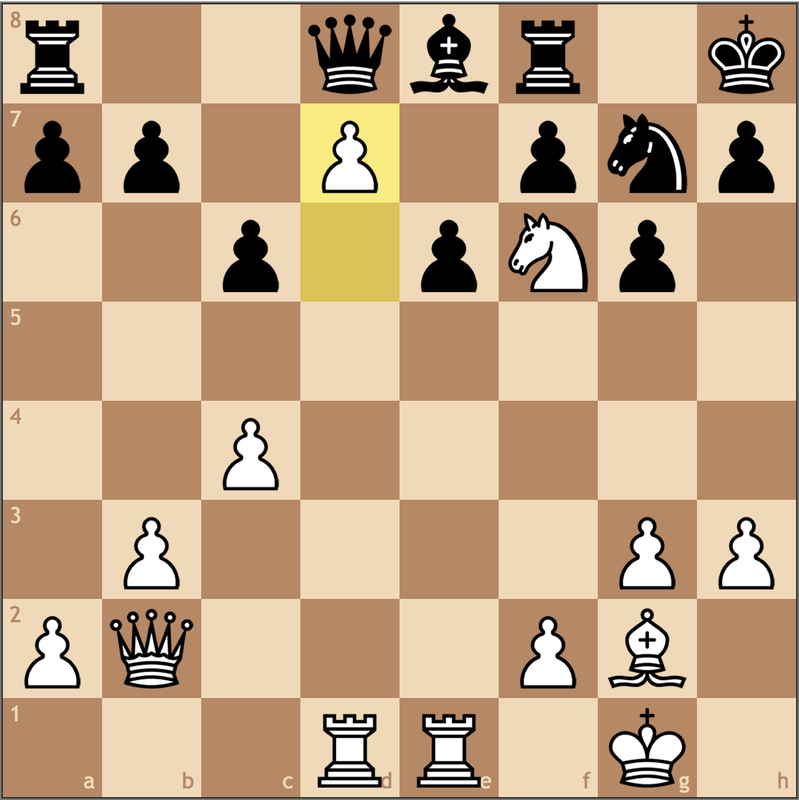 If White had tried to stop Black’s pressure on e4 with 8. 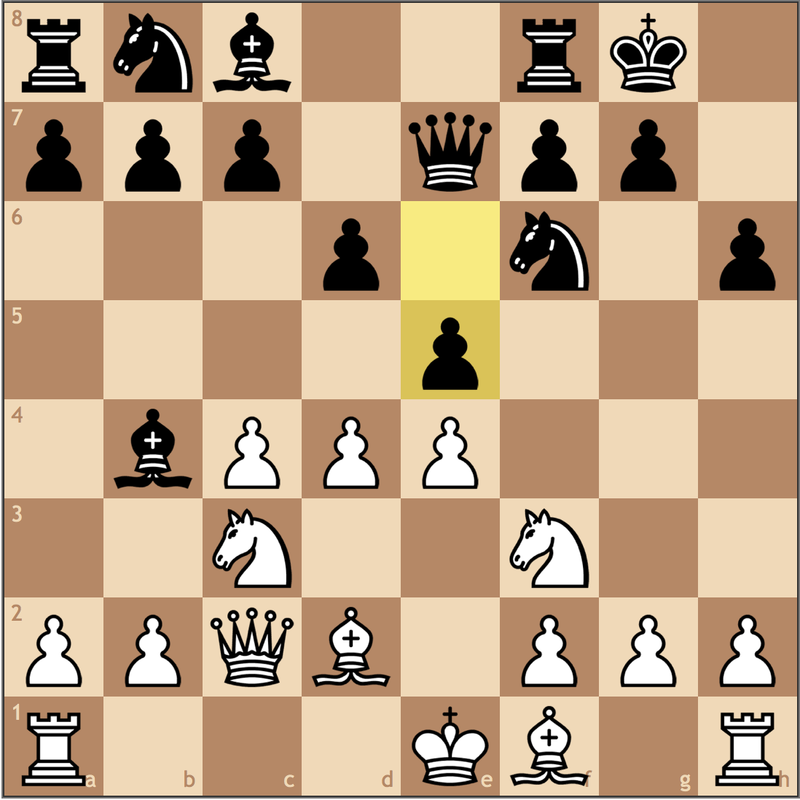 Bd3, he’ll find how misplaced the bishop on d2 is when Black slaps down 8… Ba6! with the idea of …Nb8-c6-a5. With the real pressure on c4 coming, White also has to worry about his lack of coordination as the bishop on d3 is unprotected. 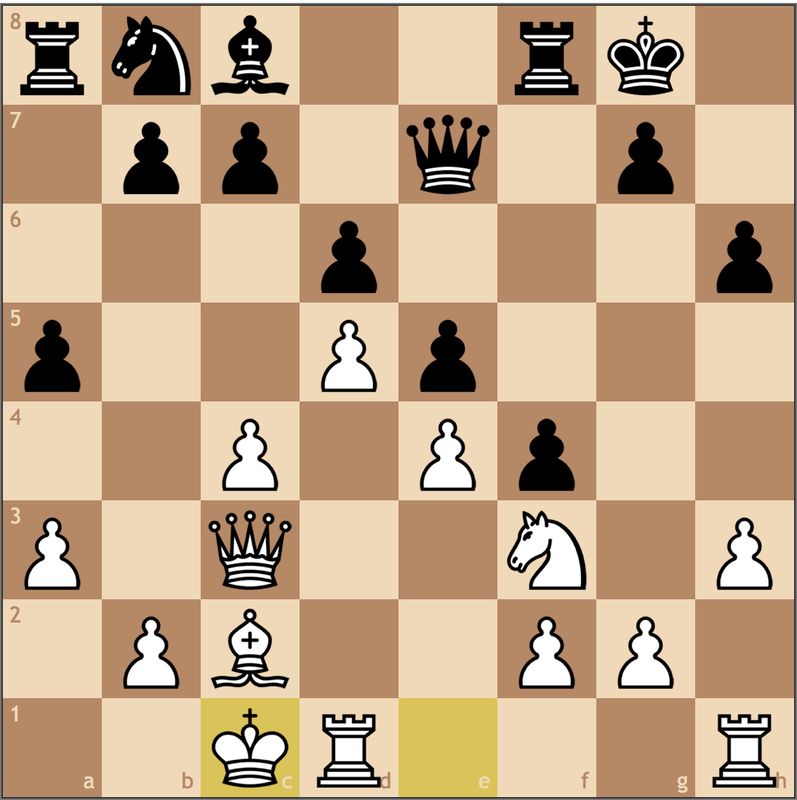 Black isn’t winning, but it’s clear that waiting to exchange on c3 gives Black more strategic chances. By trading off the dark-squared bishops, White has gotten rid of his bad bishop and has a lead in development. However, with a solid position, Black still holds relative equality. 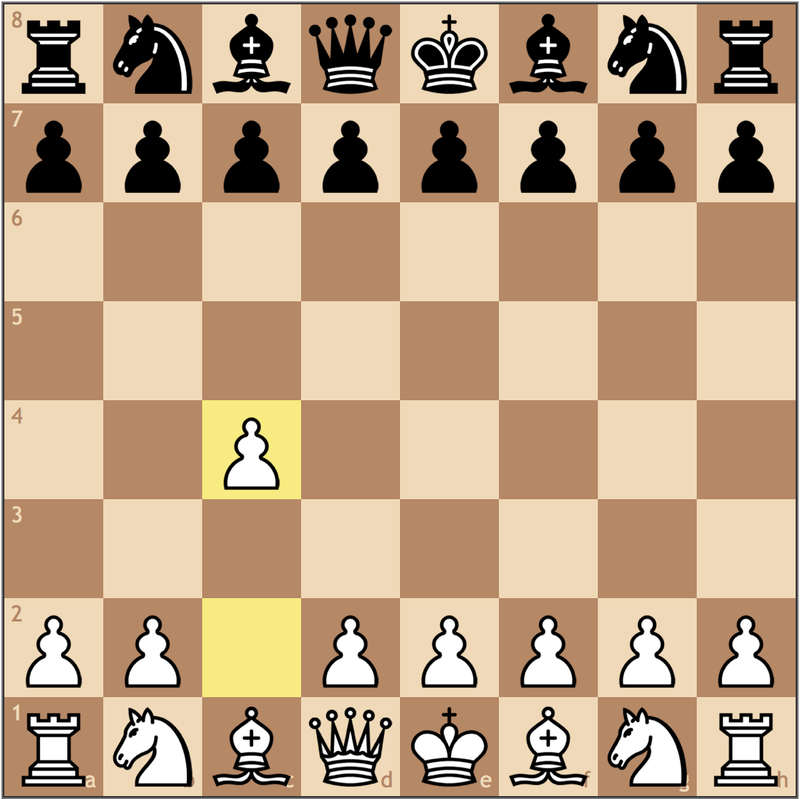 Even though White has space, he doesn’t have a space advantage because of the lack of pieces to apply further pressure. 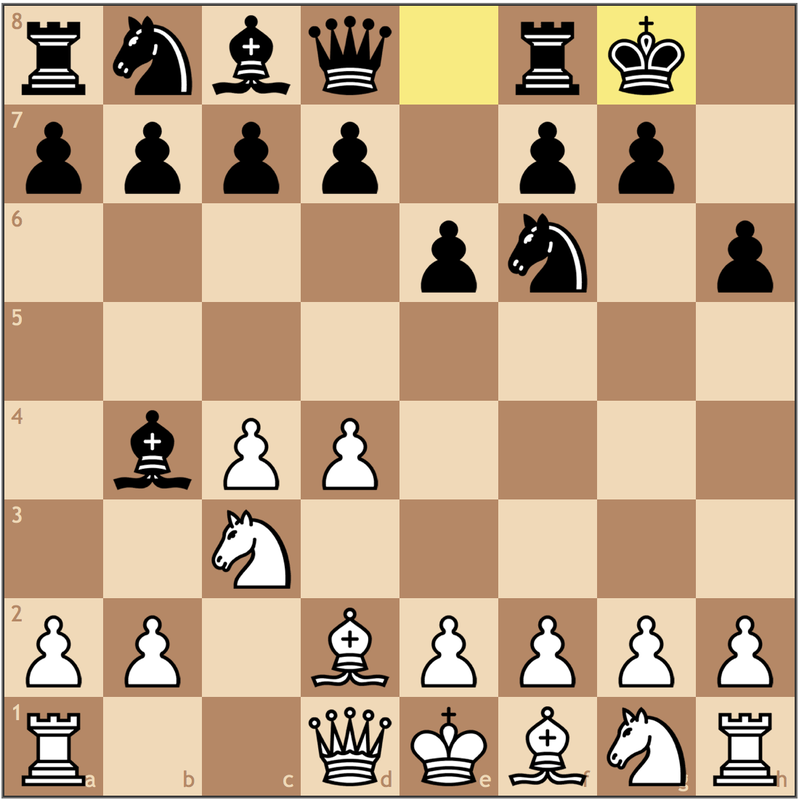 Black will find a thrust and the center and will have reasonable chances to find counterplay. 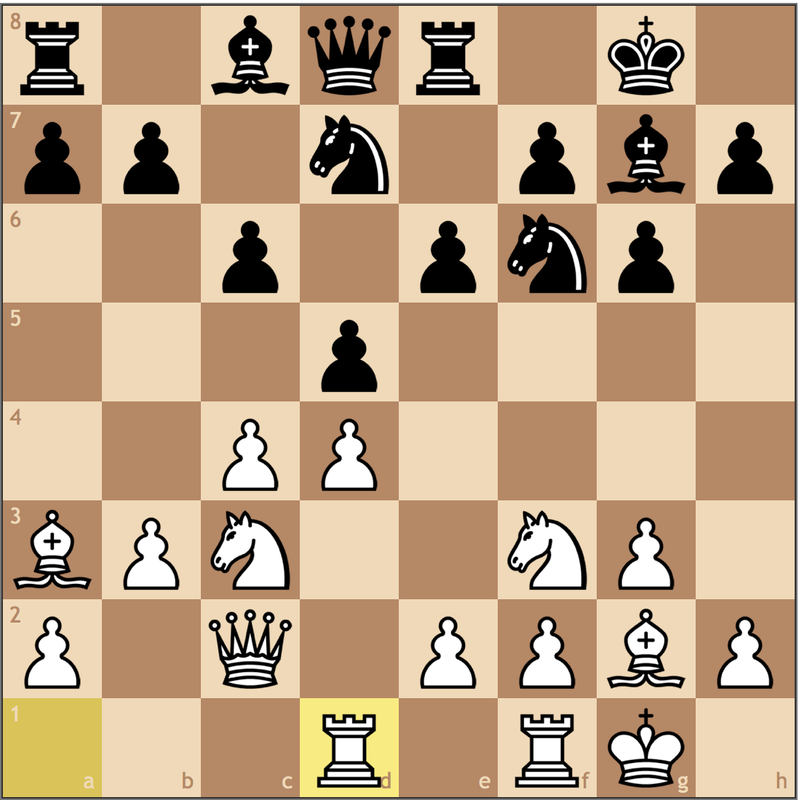 Based on his next two moves, White’s bishop is misplaced here and belongs on e2. 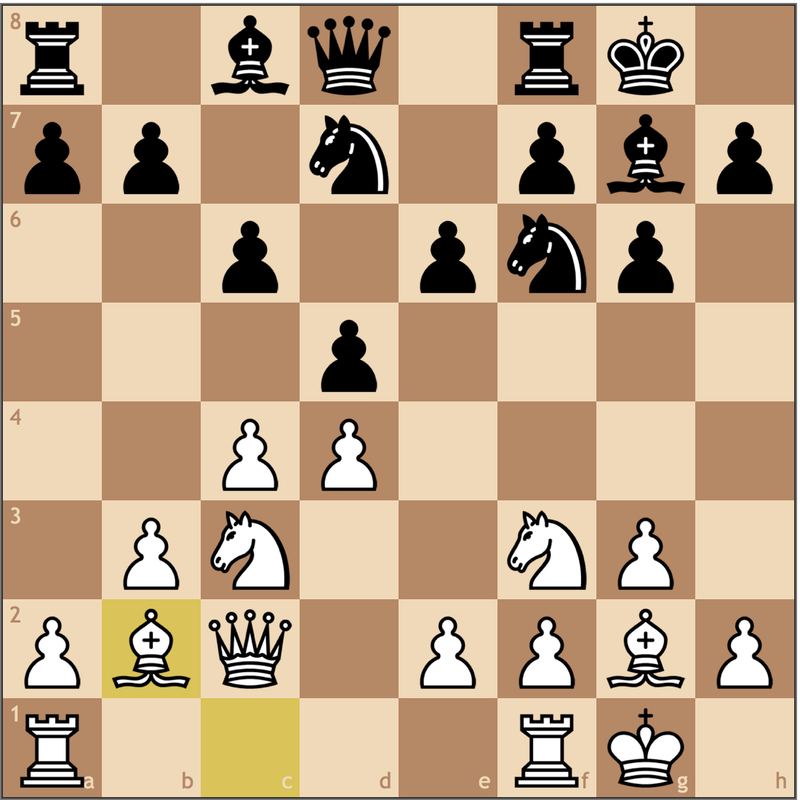 While seemingly unusual, this is also the case in many London System positions to put the bishop on e2 instead of d3. With Black’s recent trades the pace of the game has slowed down, but many of White’s troubles start with this seemingly innocuous decision. 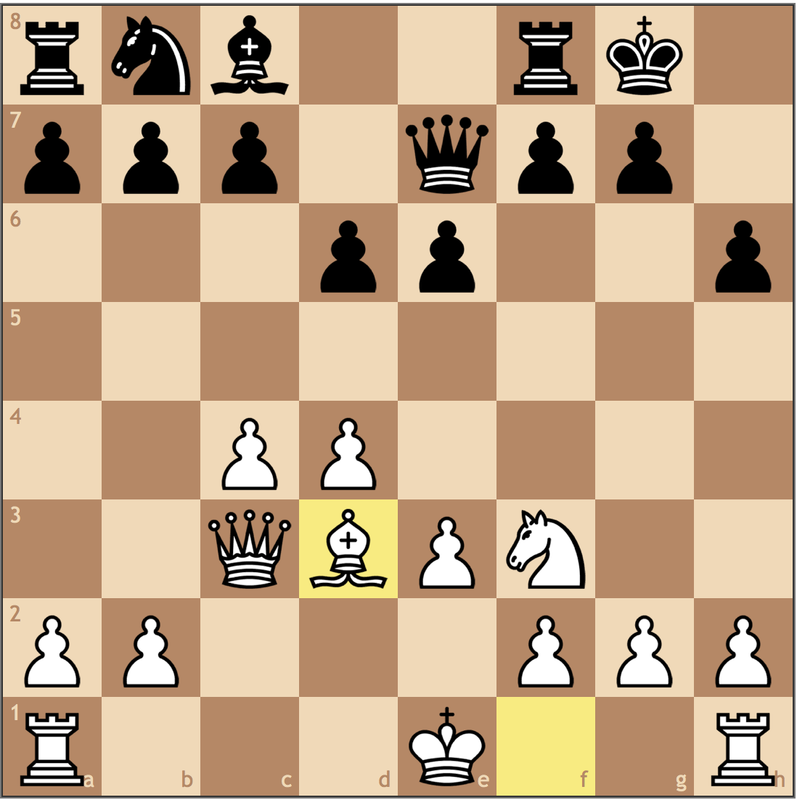 11…Nc6 12.h3 e5 13.Bc2 a5! 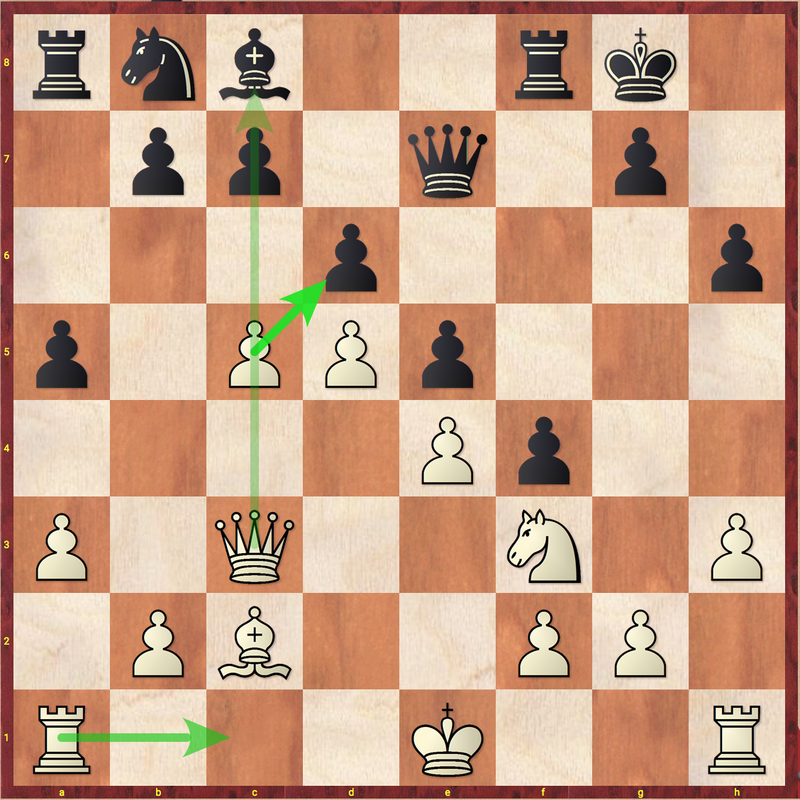 Just like my post on the Maroczy Bind last week, …a7-a5 comes to the rescue again, stopping any queenside expansion ideas. White seals in his own bishop with this move. 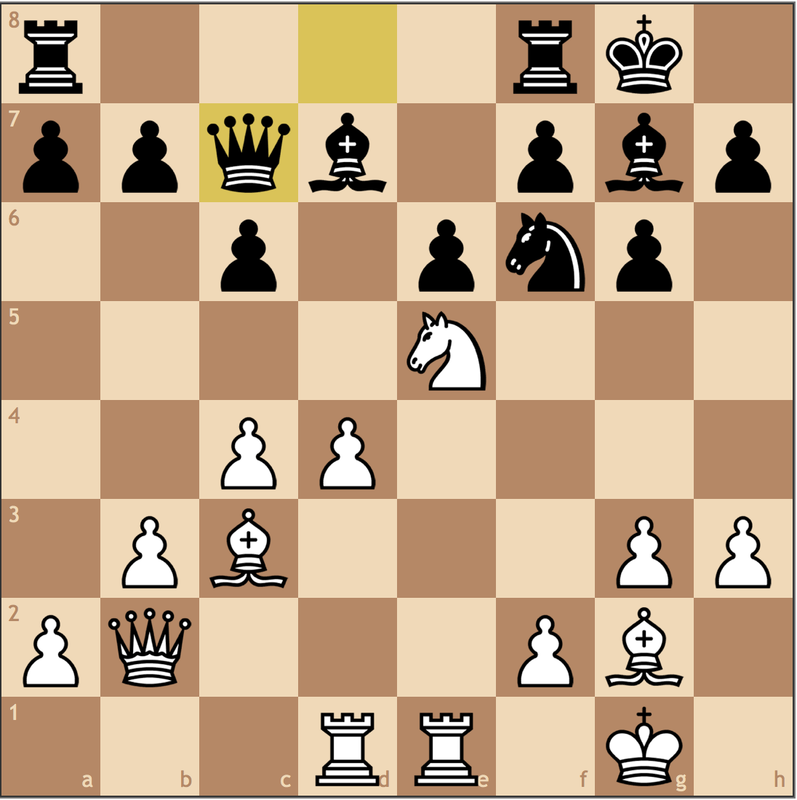 With the e4-d5-c4 pawn structure fixed on light squares, White has accepted a bad bishop. 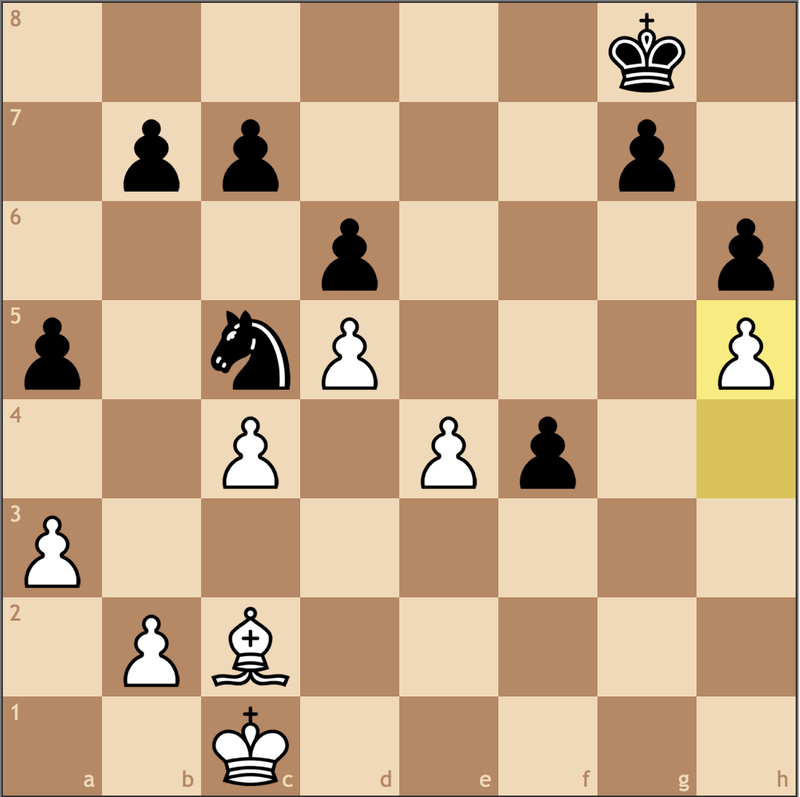 To make progress, Black will attempt to exchange his own bishop for the f3 knight, reaching a good knight v bad bishop endgame. 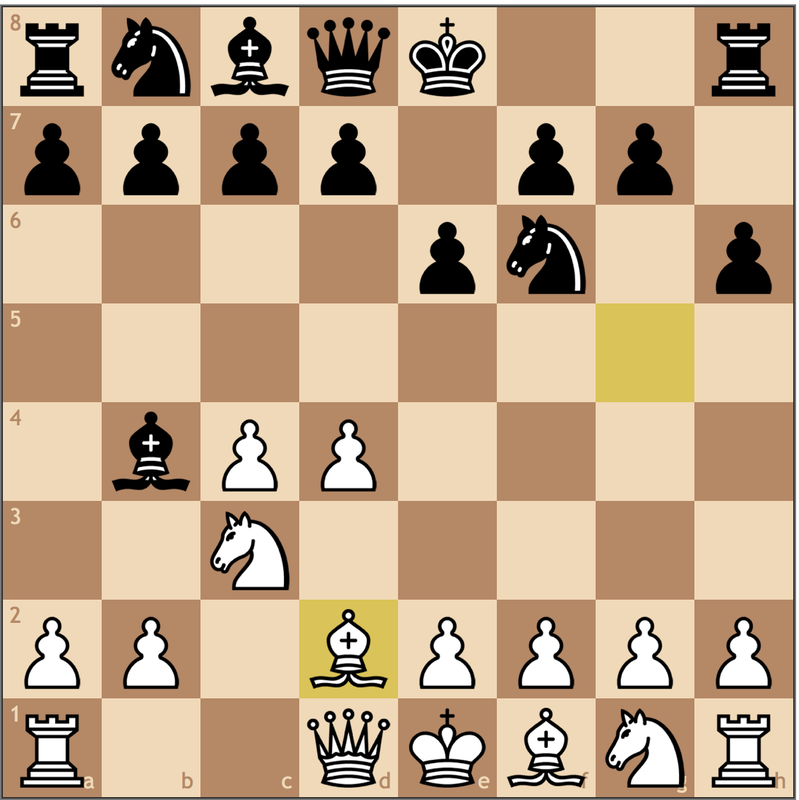 Then, by using the dark square strategy, will play to take advantage of White’s passivity. Simply failing to grasp the troubles of his own position. 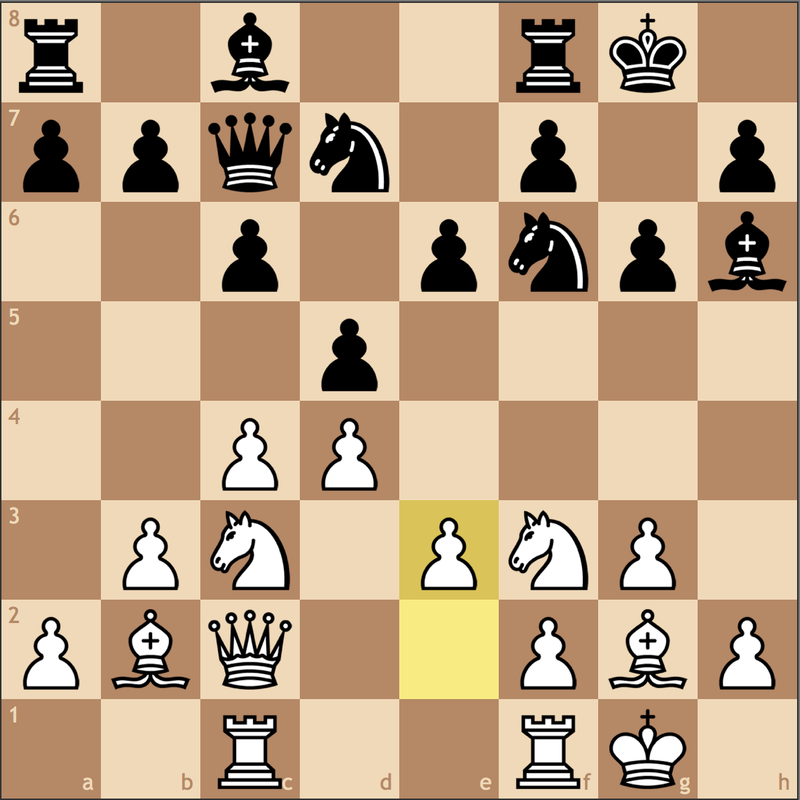 White needs to undermine Black’s pawns structure to have any chance to equalize and had to at least consider 17. c5. It’s not really a pawn sacrifice since if taken, the e5 pawn falls so Black has to consider White’s threat to open the c-file. Again, the misplaced bishop presents problems for White, but at least it’s still a game. 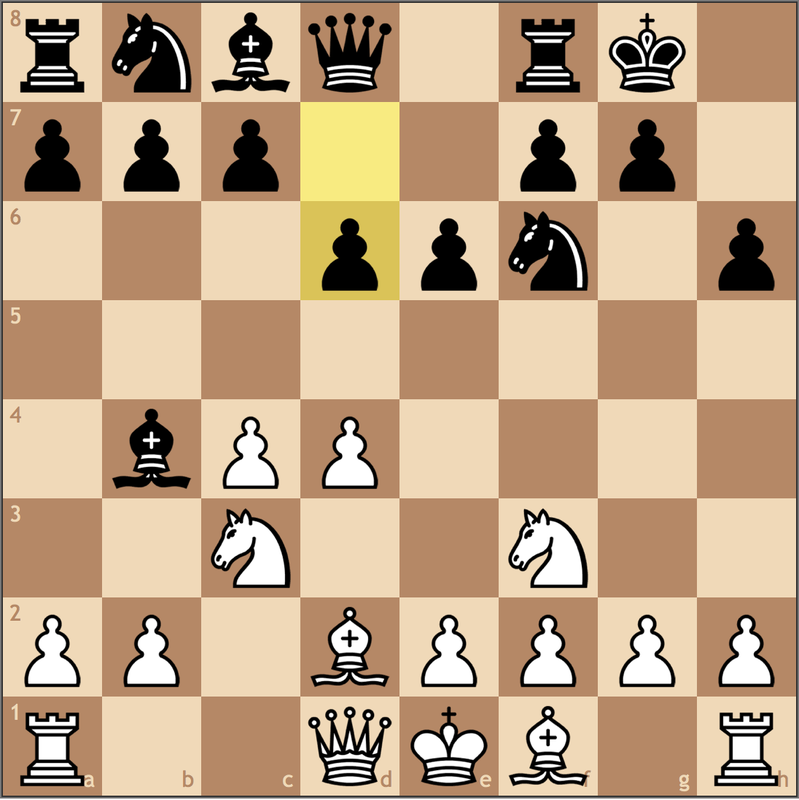 By queenside castling, White’s king on c1 means that White really cannot afford to open up that side of the board. Let’s see how Matthew takes advantage. I really like this move! Black recognized that White really wasn’t threatening anything with this last move, so took the liberty of improving his position while waiting for White to cause more self-harm. 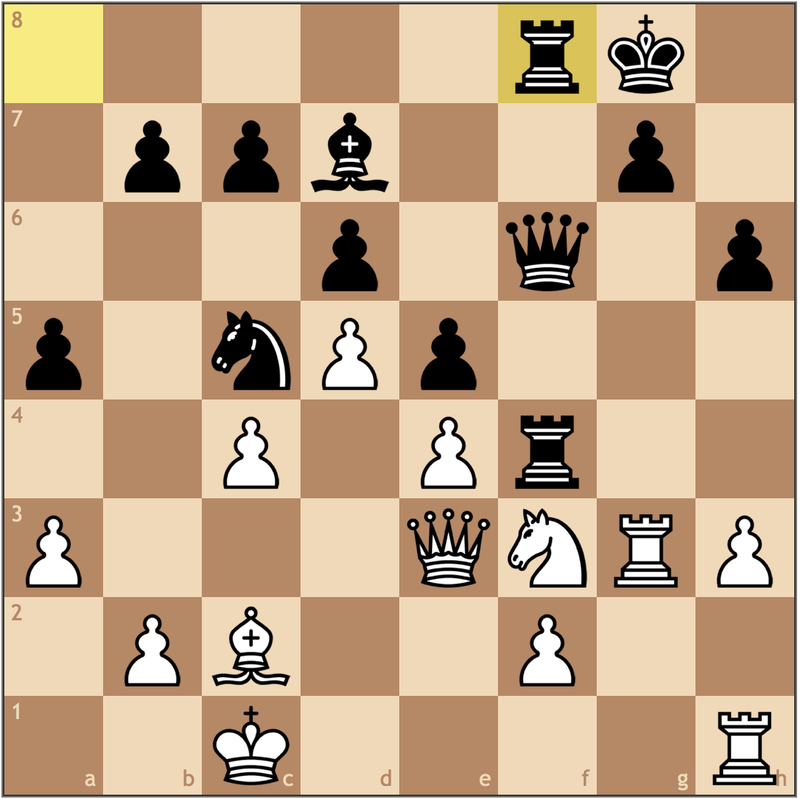 White tries to break the static nature of the position with dynamic play, but in doing so, creates a target for Black. It’s never too early to start thinking about the principle of two weaknesses. 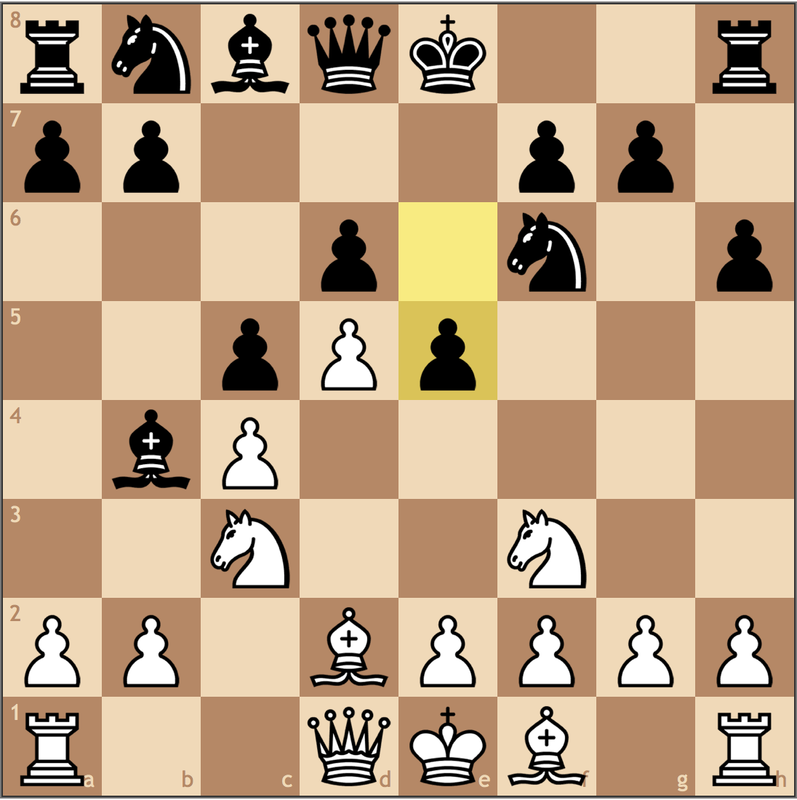 Here Black gets his first on the f-file by simply recapturing with the rook, freeing the f8 square for the other. White will now spend more time protecting f2 than actually attacking g7. Furthermore, e4 is hit, and now White must also worry about his general lack of stability. While the attack Matthew has essayed seems quite simple, getting here required precise positional play and a deep understanding of Nimzo-Indian pawn structures. Having played like an expert thus far, it’s unsurprising that Matthew but away this endgame with relative ease. Even with the queen’s off the board, Black still is able to apply even more pressure on the position, in this case, the weakness on e4. 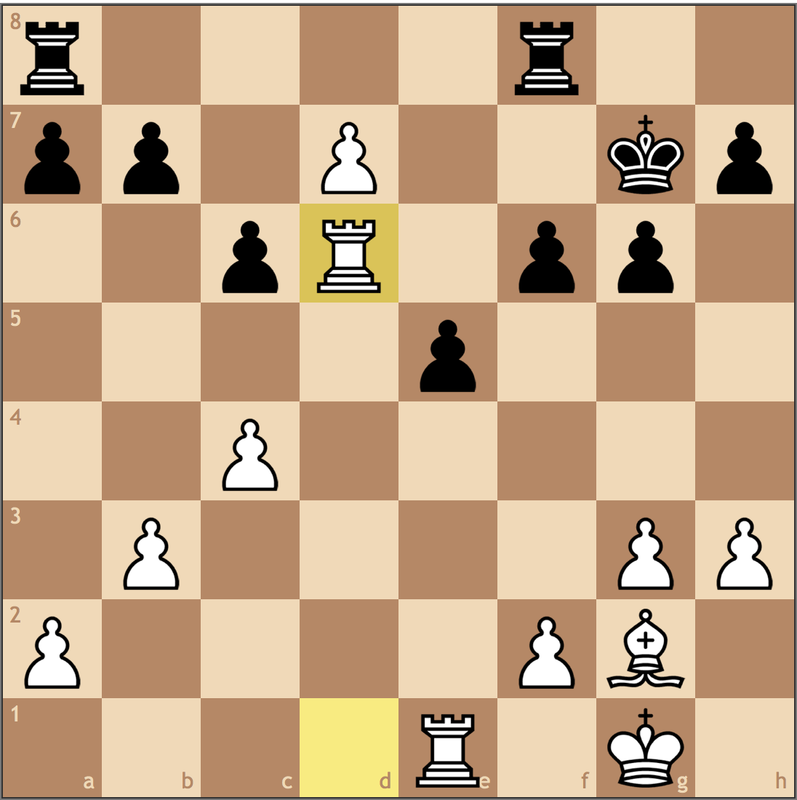 White’s next move, 27. 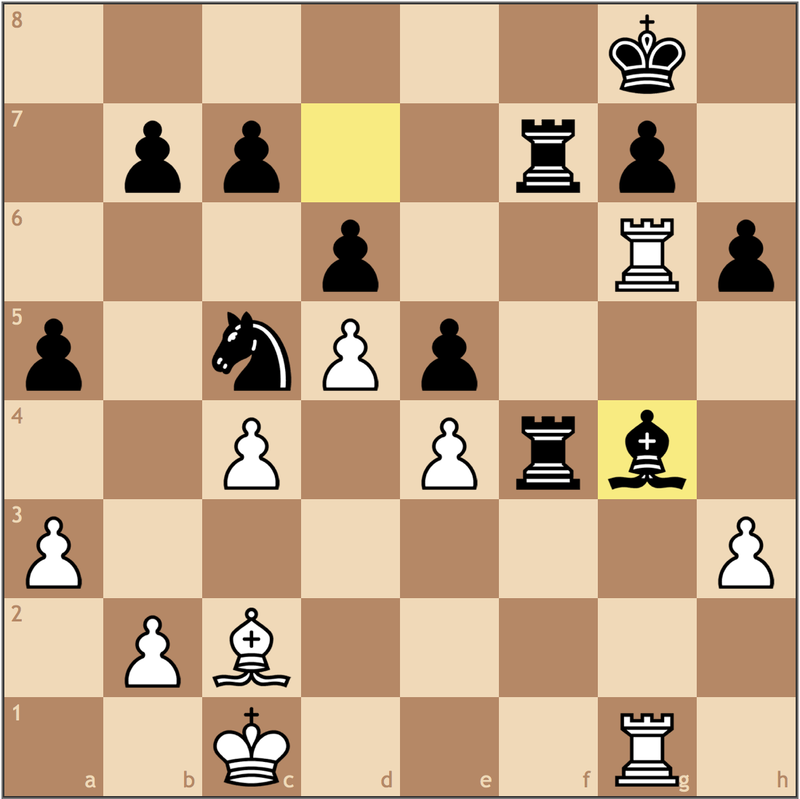 Ng4 is forced, but the simplifications further damage White’s position. 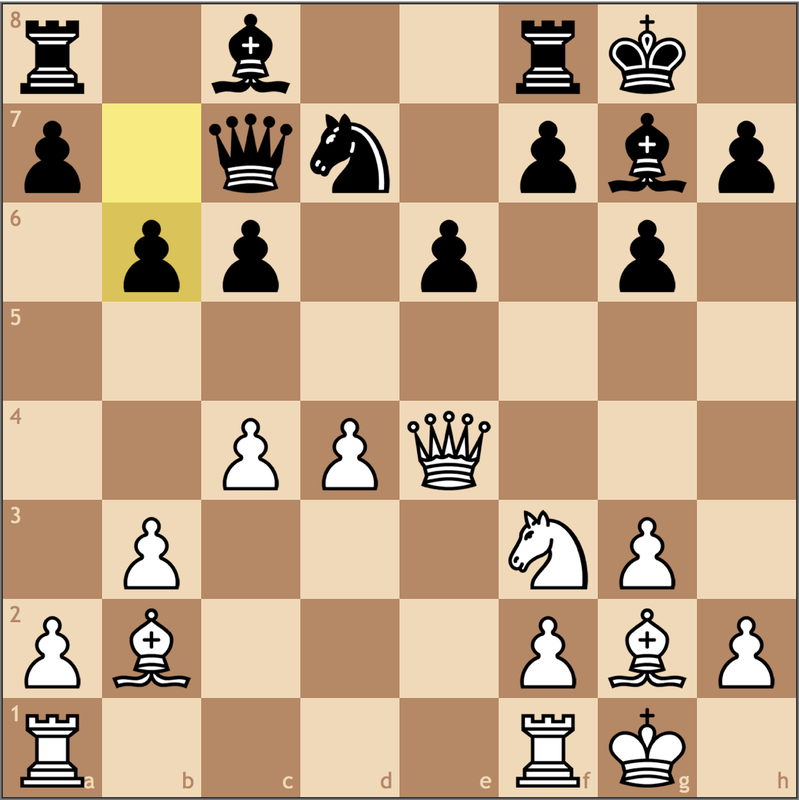 This move was more or less forced but Black reaches the desired good knight v bad bishop endgame. Very nice technique as now White must again make another concession in protecting the h-pawn. Aside from a few potential opening improvements, Matthew has looked like an expert this game. Even though he was never under any serious pressure this game, Matthew was able to demonstrate his resilience by bouncing back so nicely from a tough morning. Being able to relax in such tournament situations isn’t easy, and to pull it together in a National Championship environment is certainly admirable. 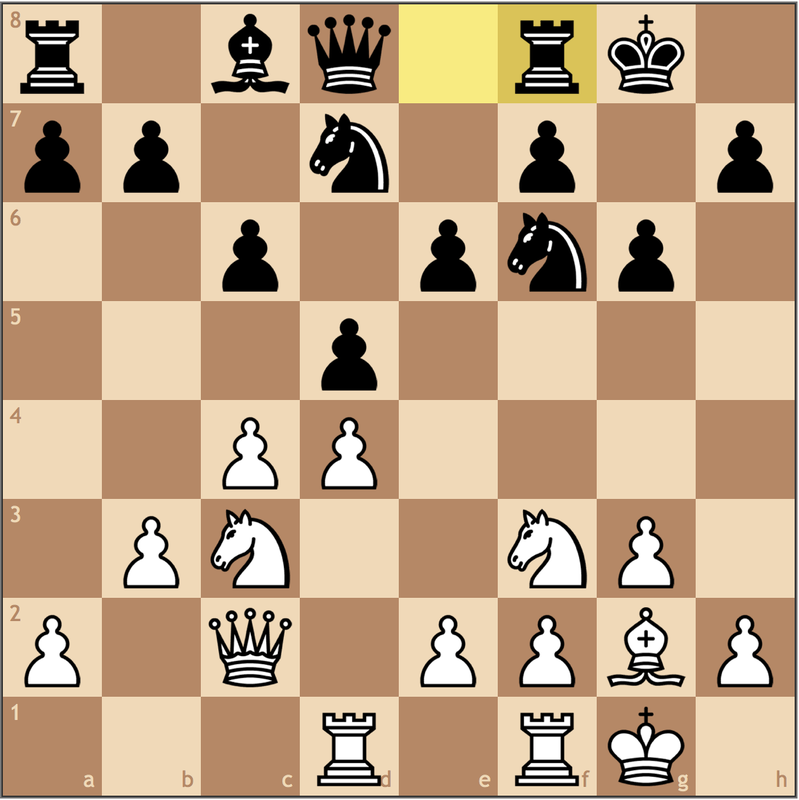 Now with a 3 v 1 set-up on the kingside, Black just needs to push his advantage to get the win. White has misplayed more than his fair share of the positions this round, but this move is the best way to put up resistance, giving the White king time to march to the kingside. Even in the better position, Black still slows down to make the right decision, the king belongs on e5 and not the knight. Not only can White’s king not help push c4-c5, but it must also stay in the center of the board as to prevent Black’s king from infiltrating on the dark squares. The last straw. Already in zugzwang, Black forces White to make one last concession. 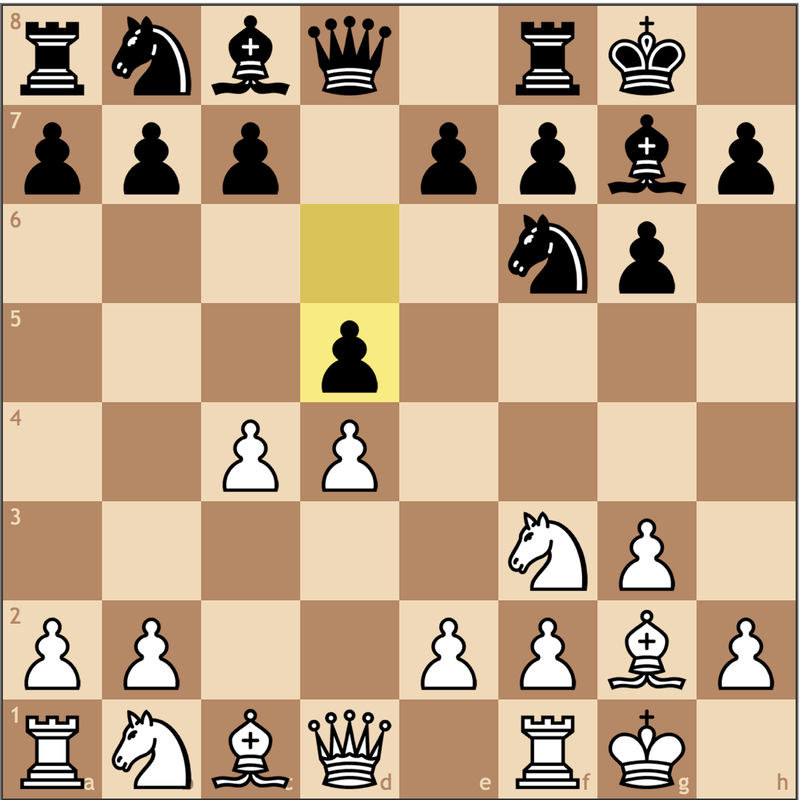 Can you figure out how Black wins this position? 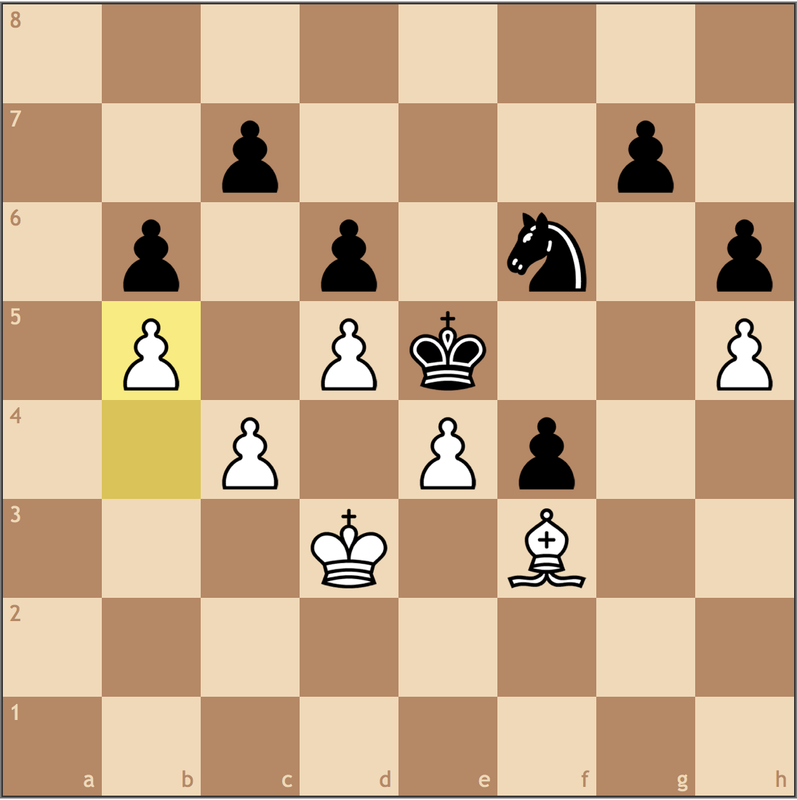 White resigned, as every legal move loses material and the game. A really strong game from Matthew. One can only wonder how much higher rated he would be if he played more often! Matthew’s team, MLWGS, also fared well in Atlanta, placing 15th in the U1200 section. Let’s check out Matthew’s round 6 match-up from the following morning and see if he kept the momentum going! And again, we reach another opening where Matthew gets to punish his opponent for wasting time in the opening. 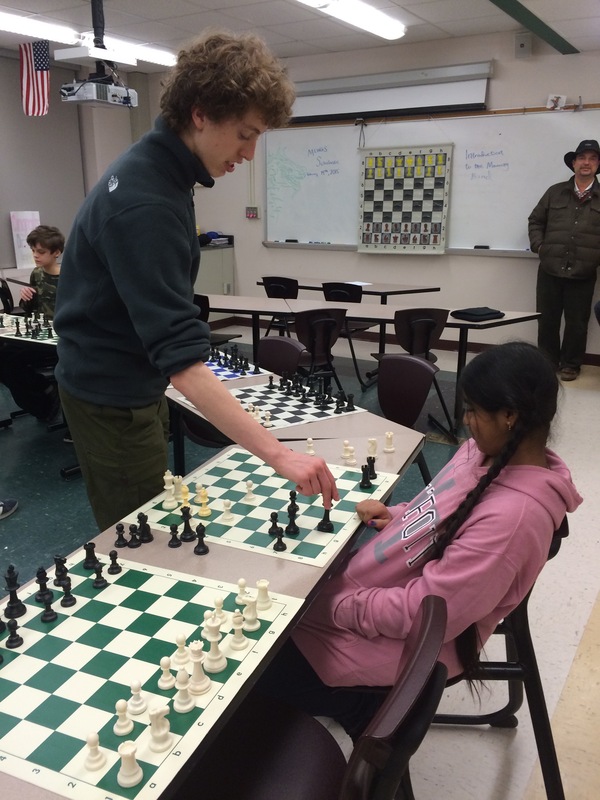 For amateur players, I find that understanding timing, development, and pawn structures is critical for improvement. Again, another no-nonsense approach from the Beast. Opting not to take on d5 to avoid Grünfeld-like positions, this move eases White towards a Catalan where Black is a tempo behind. 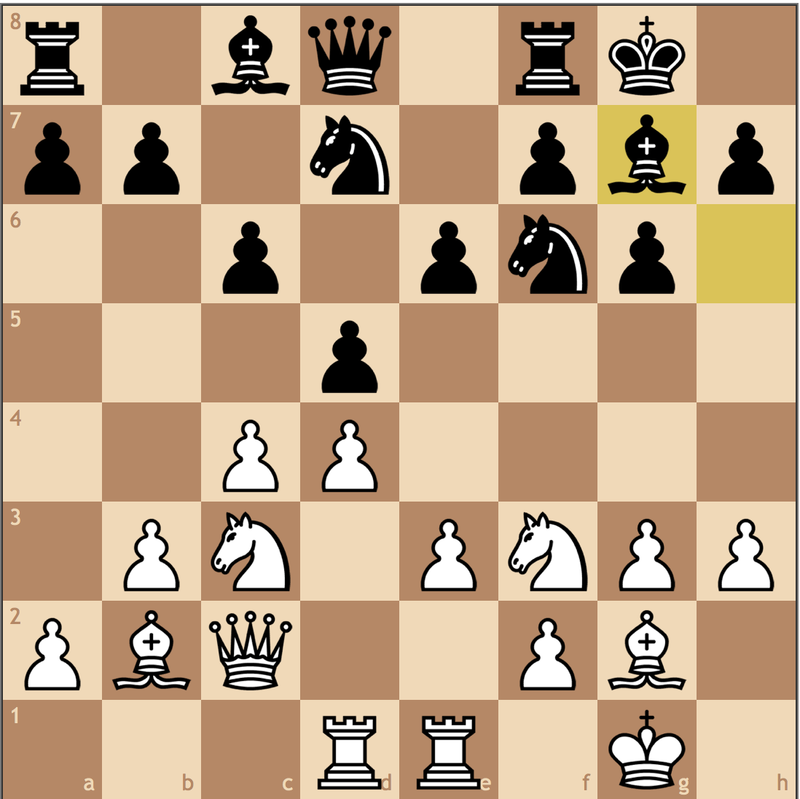 This is a reasonable approach since the g7 bishop might be better placed on e7 in some positions. This move is objectively fine, but I think 10. Ba3 is also worthy of consideration, given that Black’s dark square bishop is not in a position to test the diagonal. I think after 10. Ba3 Re8 11. Rad1 White has an edge to work with. 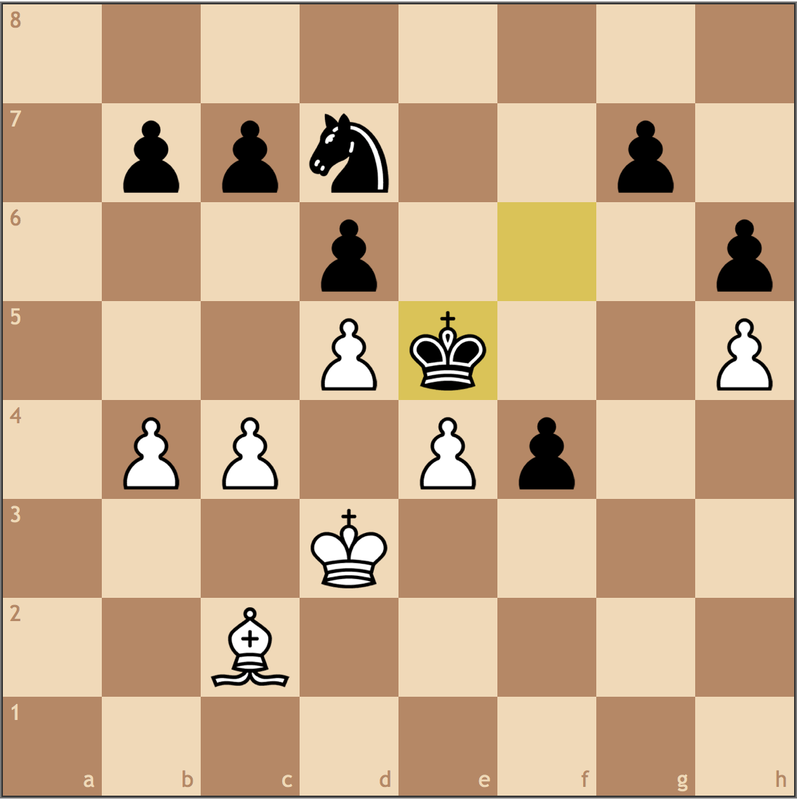 White can still plan for e2-e4 ideas, but this time has full control over the dark squares. 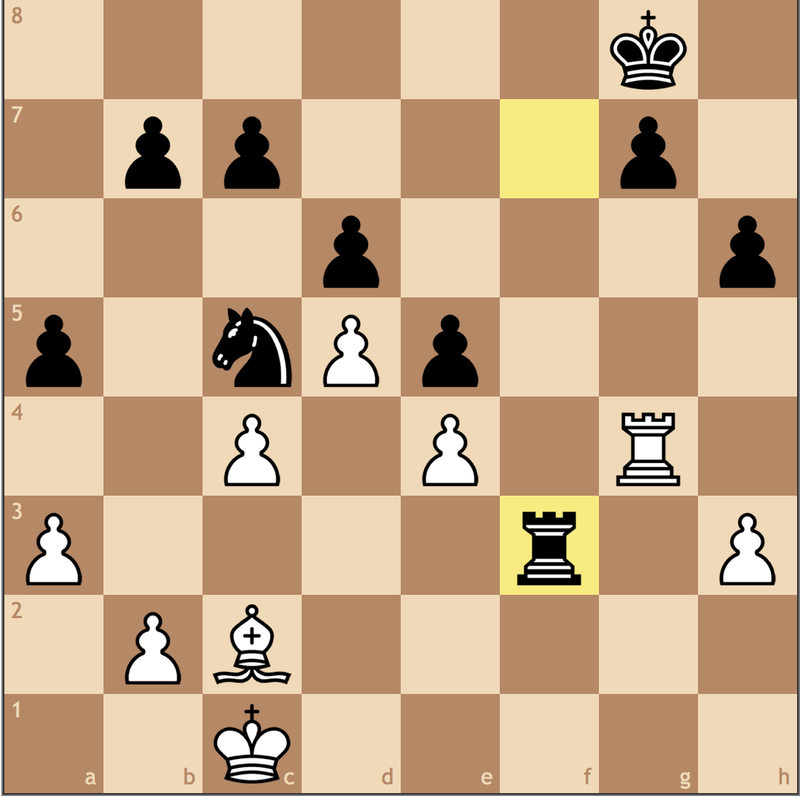 Even if Black were to try …Bg7-f8, the loss of time is apparent as Black’s remaining development is appalling. 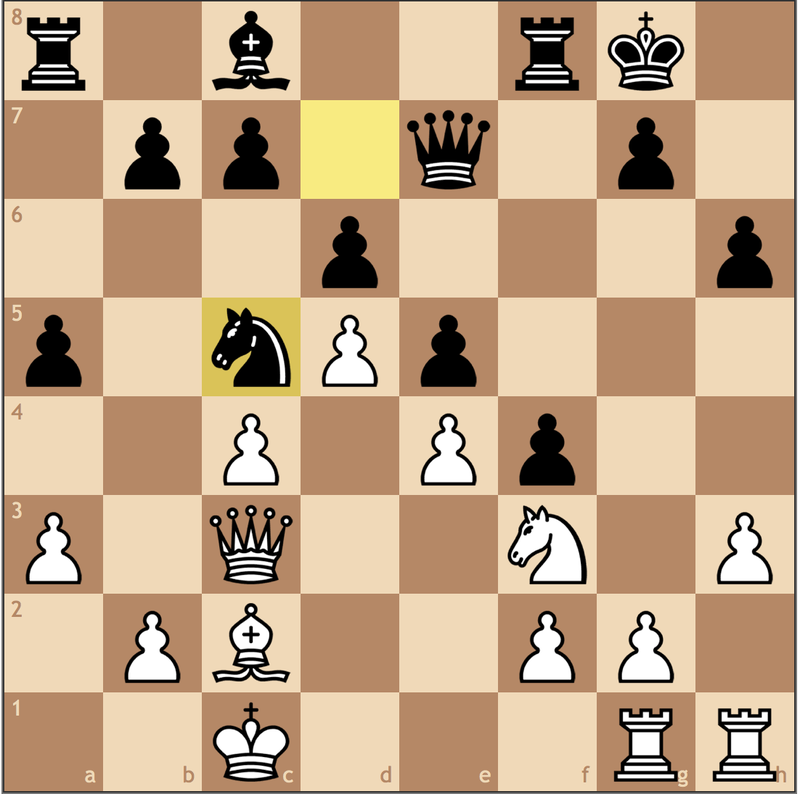 Preparing for an opening of the c-file, White chooses this move . 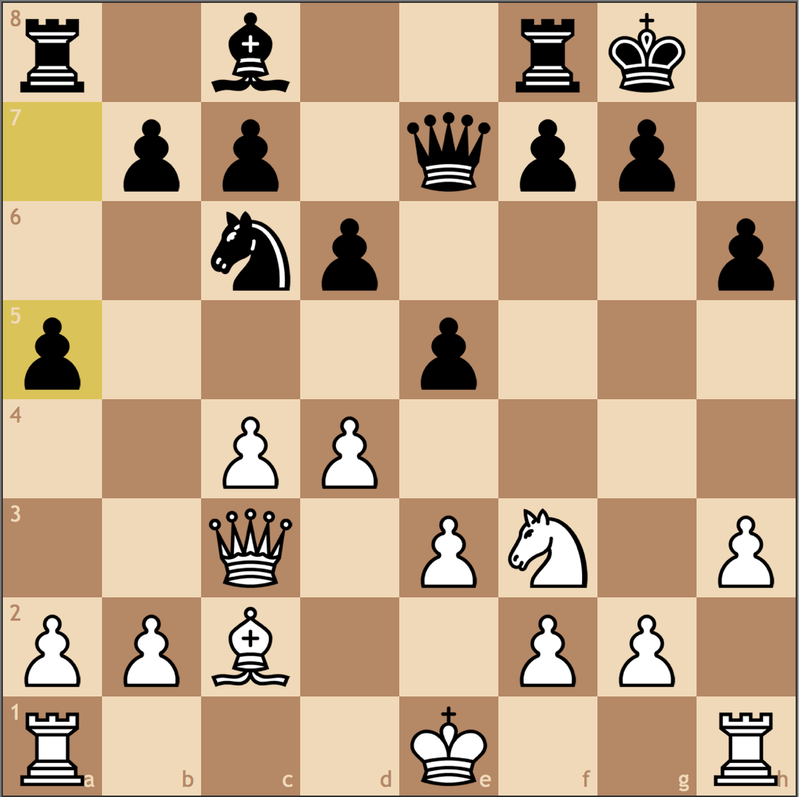 10. e4 is interesting, but for White, it doesn’t come without cost. For example, 10. e4 dxe4 11. Nxe4 Nxe4 12. Qxe4 b6 with the future idea of c6-c5 justifies the placement of the g7 bishop. 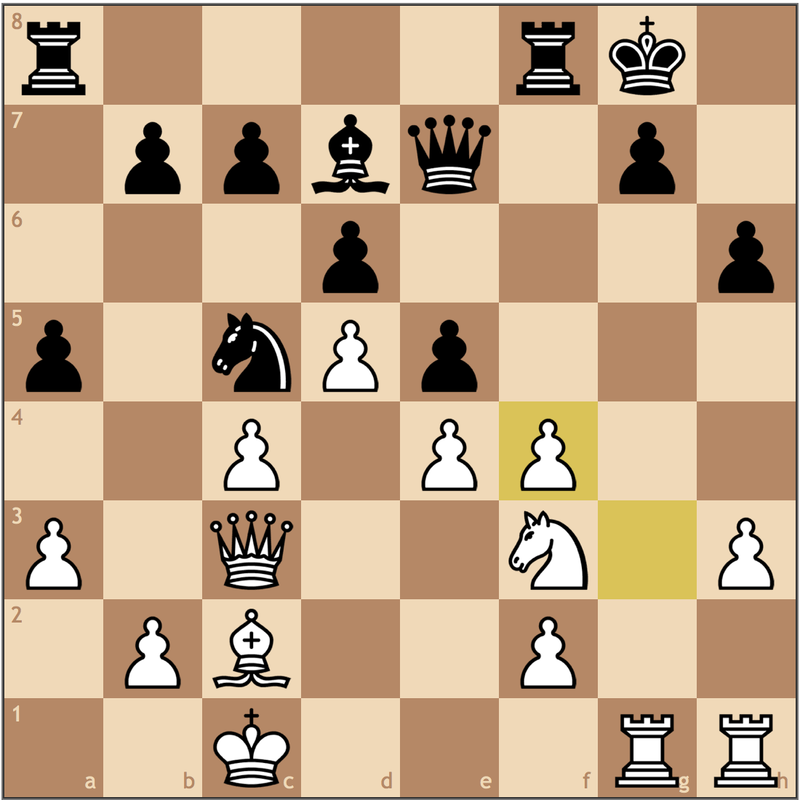 At first, it seems kind of silly that White would have prepared e2-e4 only to make this lesser push. However, it’s completely justified! 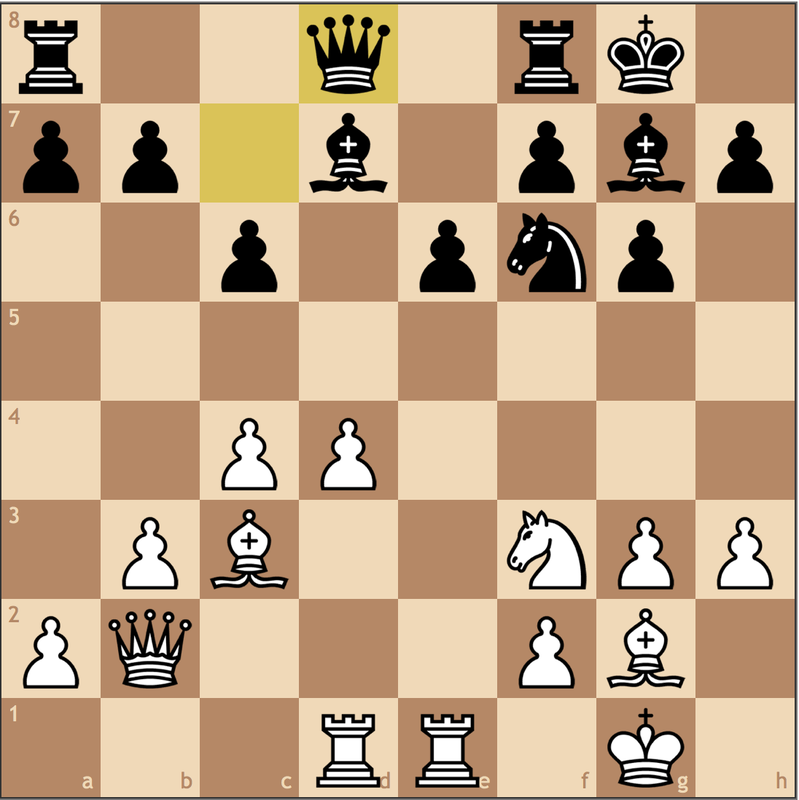 With Black’s bishop no longer on the long diagonal, White’s bishop on b2 stands uncontested. 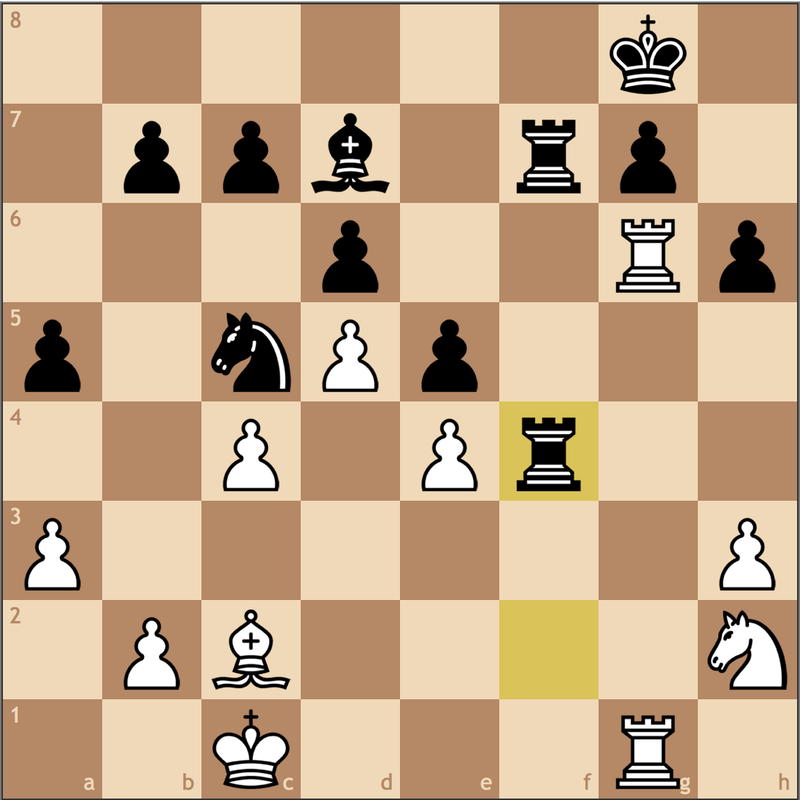 Black can’t exactly stop a future e3-e4 push, so White is in no rush to carry out this advantage. Tricks are for kids! 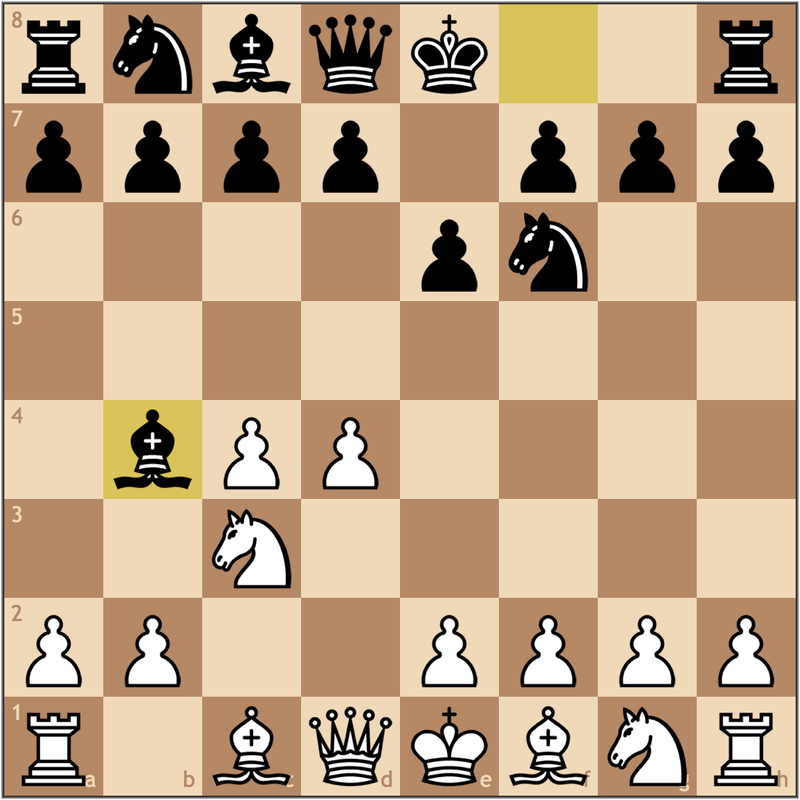 In threatening …Bh6xe3, …Ng4xe3 with a fork, Black violates nearly every opening principle. First, I’m not convinced that Black is better if he pulls off the tactic. He loses his good bishop and has to move a knight three times (three tempi is roughly one pawn) to get a rook and two pawns for objectively his best-developed pieces. Secondly, if White defends e3, which he does, what has Black actually gain from this bizarre movement? Tactics and strategy should work together, not operate independently of one another! Anything familiar? It’s almost like Matthew’s opponent left the board after 10. 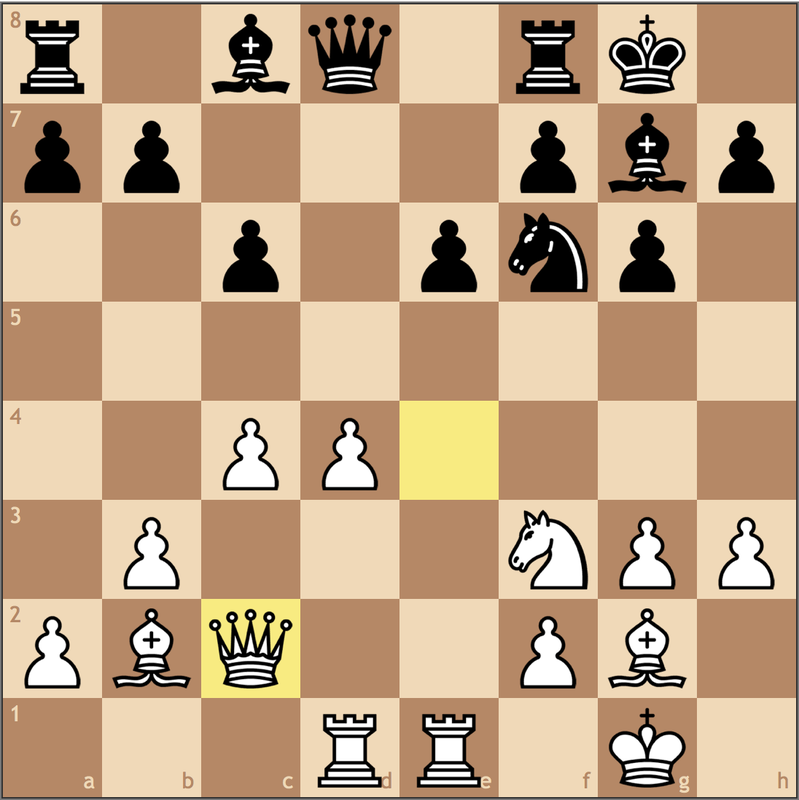 Bb2 only to find that Ra1-d1, Rf1-e1, e2-e3, and h2-h3 had all been played and it was White to move! I wondered if this realization during the game registered for Black. I think if this were to happen to me, I’d be ready to resign. 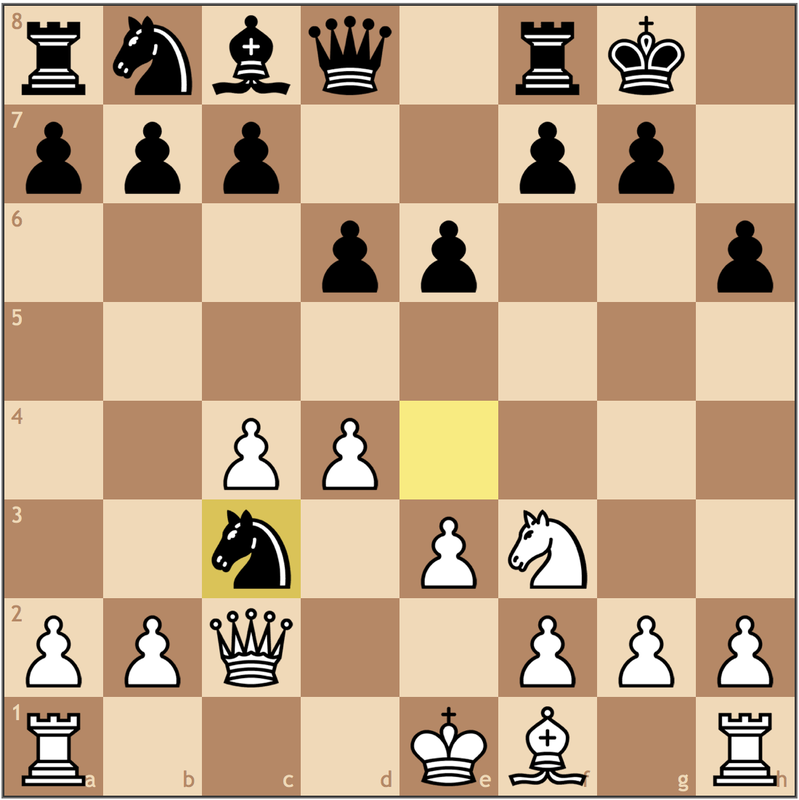 Seeing Matthew’s next few moves, I’m going to recommend Qd4-b1! with the idea of creating a Reti battery with Qb1-a1, losing less time shuffling pieces. Ultimately, playing on the long diagonal was the right idea, but Black is so far behind that the extra tempi almost don’t matter. This game is 33 moves long, and I’m going to say that eight total moves this queen takes (roughly 25% of the game’s moves!) added no constructional value to Black’s position. The queen would be poorly placed on any unoccupied square on Black’s side of the board, but of course, this is the price to pay for having wasted so much time in the opening. …Five. At this point, Black’s position is beyond finding one or two good moves. From here on out we’re just going to watch Matthew’s technique. And the long diagonal is forcefully opened. Black cannot capture the d5 pawn since Ne5xd7 wins material on either f6 or g7. 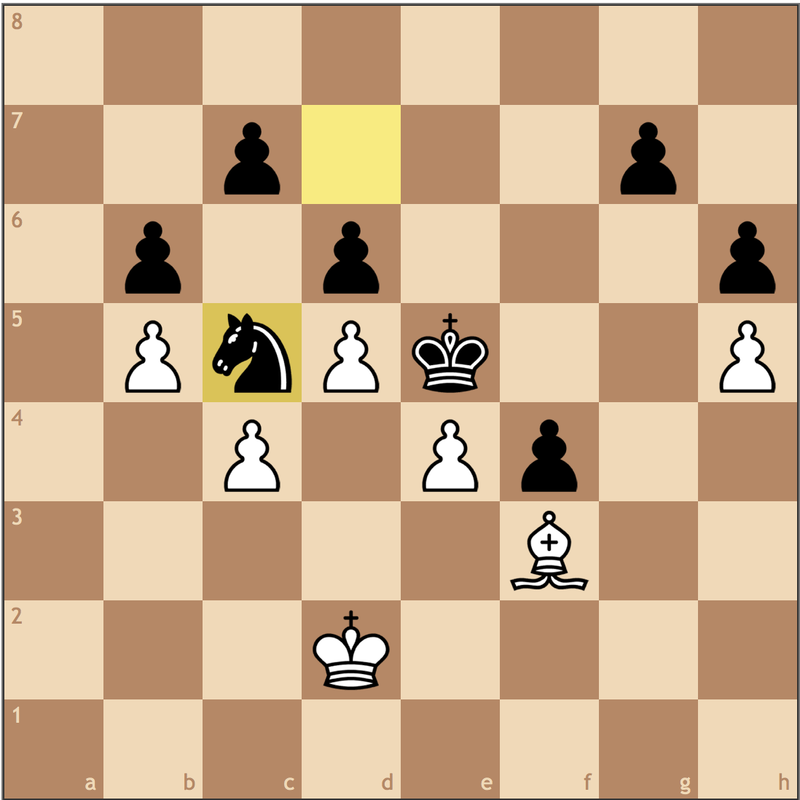 Black can resign here, I’ve added the end of the game for the sake of completion. Hard to say White went wrong anywhere in this game. I thought it was important to notice how Matthew was never in a rush to open up the position and find a win by force. Instead, he optimized his pieces and waited for the best timing to breakthrough. Well done Matthew! With the way he’s been playing, I’d say he has a good chance of graduating a higher rated player than I was during my senior year! He has one more year left in high school, but if you play competitively in the Mid Atlantic, you’ve been warned. Matthew “Beast Mode” Normansell is probably the most dangerous 1700 rated player in the state of Virginia.